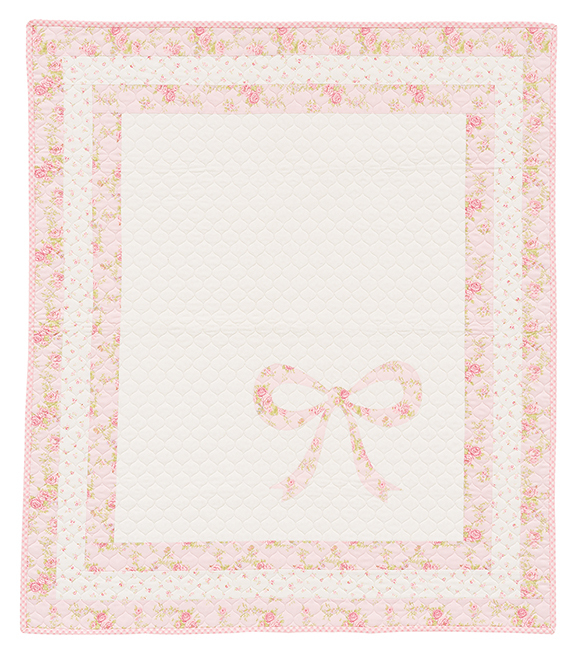 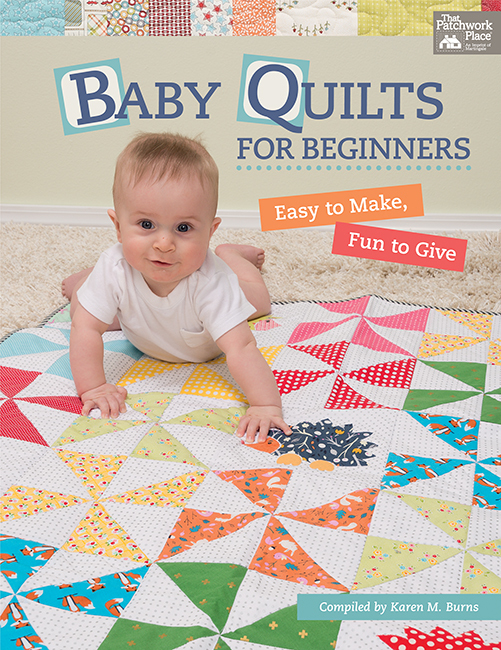 A Bakers Dozen of quilts for baby can be found in this book written by nine different authors. 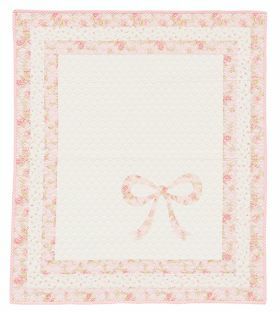 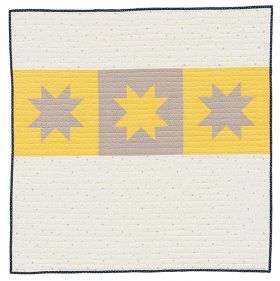 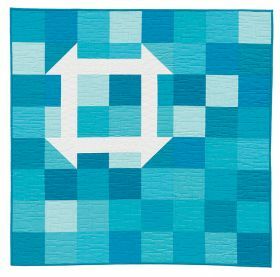 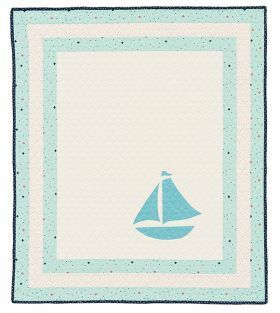 They can be as simple as making four large blocks or as complicated as deciding where to put the applique. The point is the whole book contains simple blocks that are perfect for the beginning quilters. 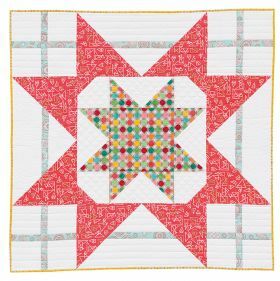 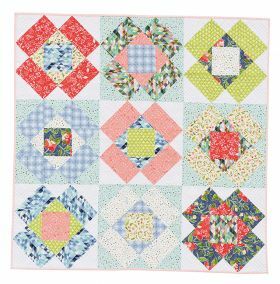 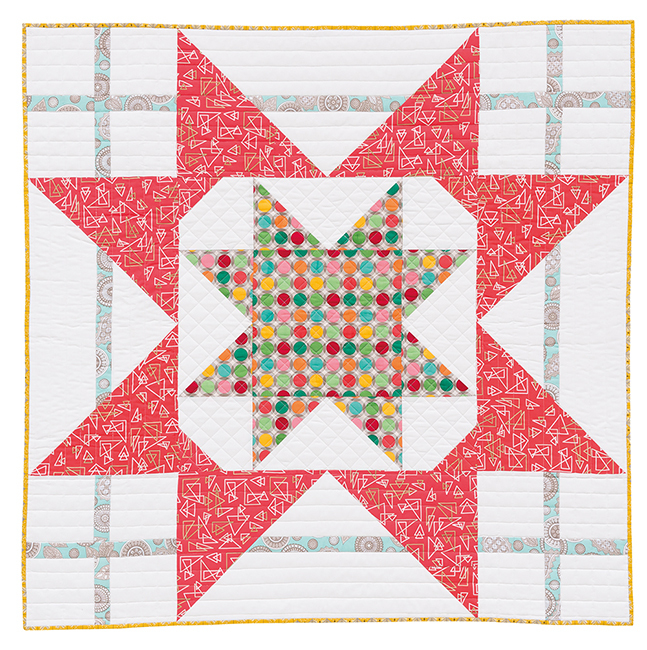 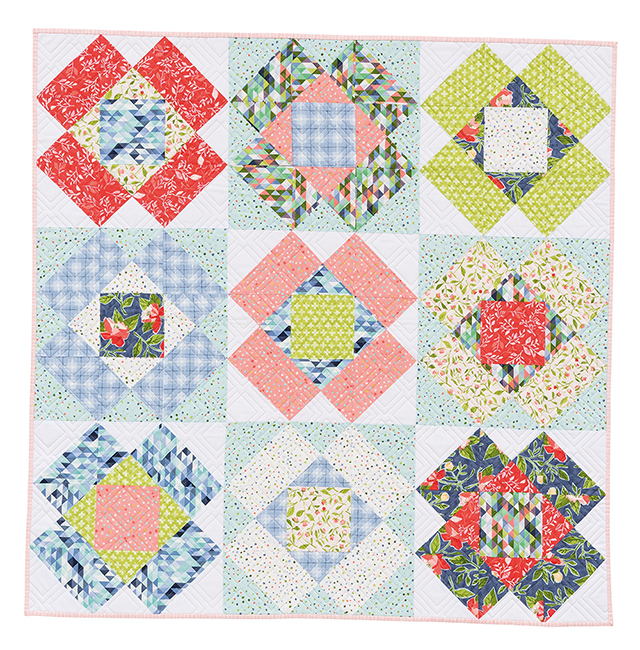 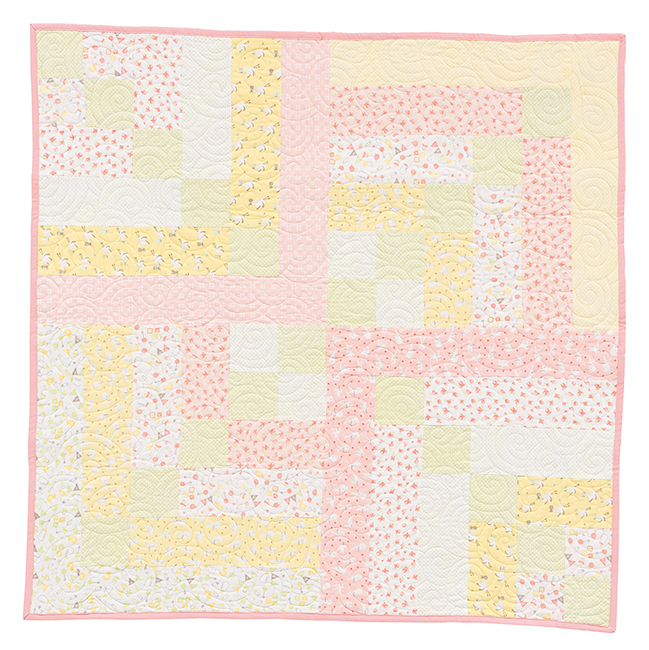 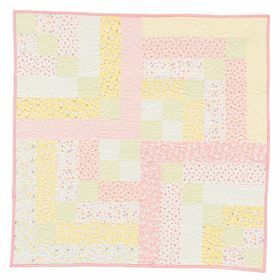 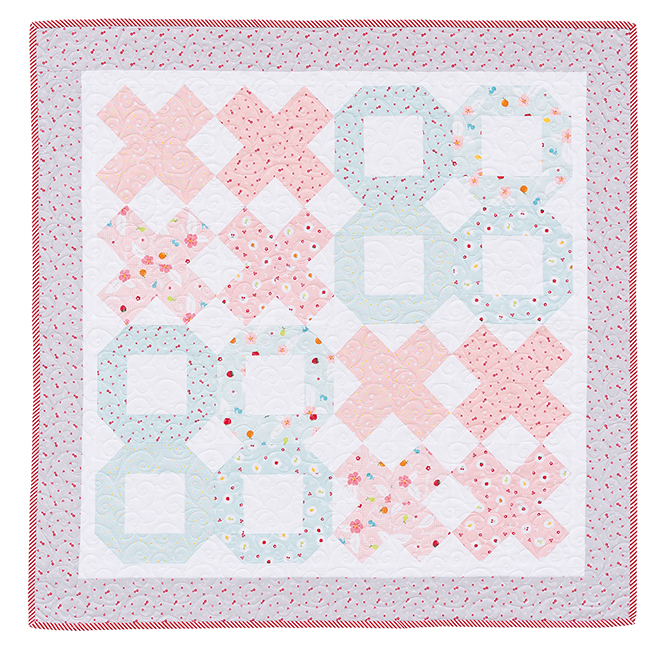 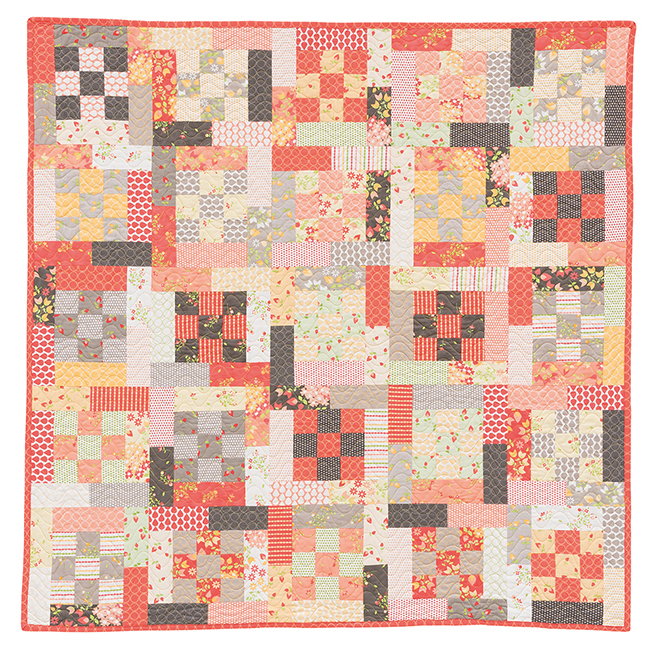 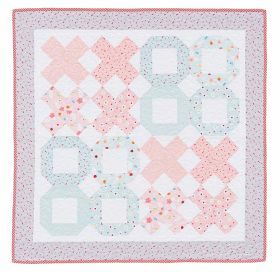 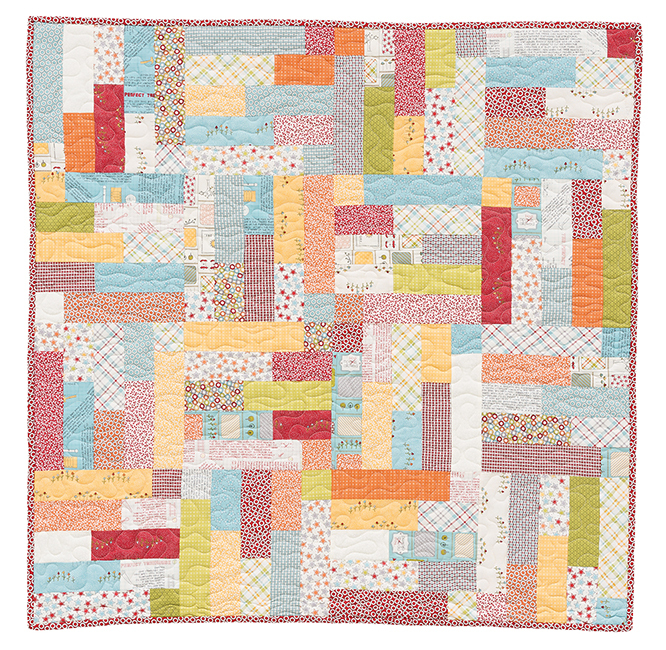 Strips, 9-patches, pinwheels, snowballs and half-square triangles are the types of patchwork needed to complete these quilts. 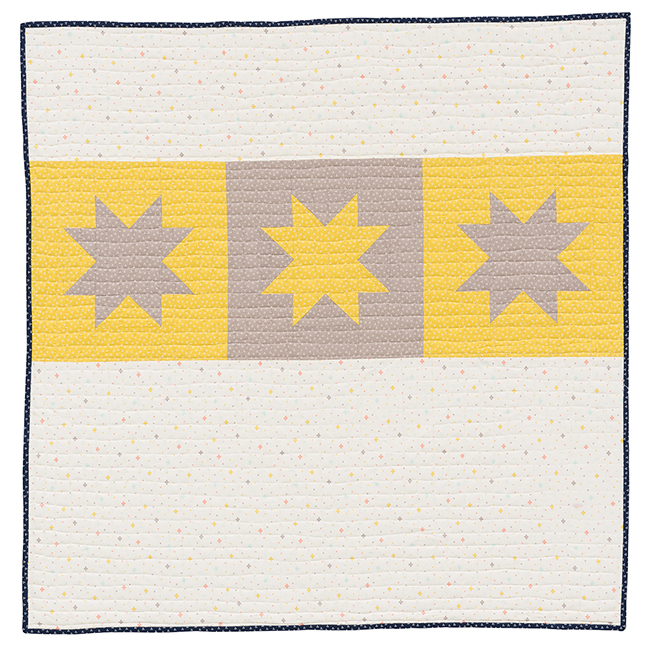 Each pattern begins with a blurb from the author. 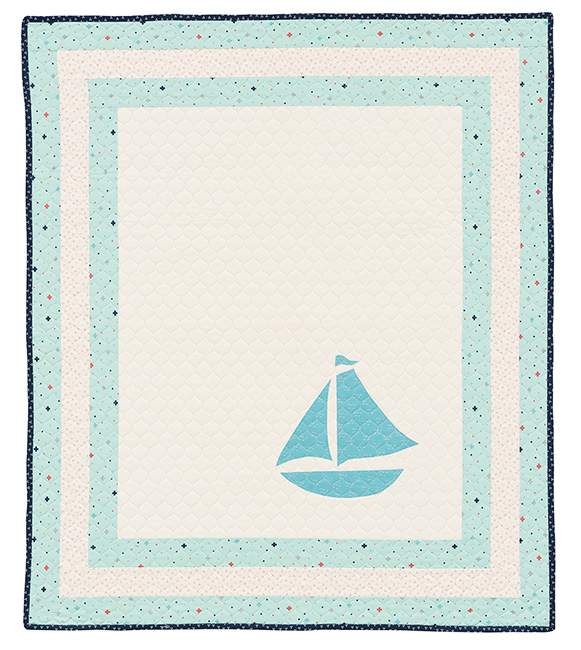 Then a clear and easy to understand cutting and materials list is next. 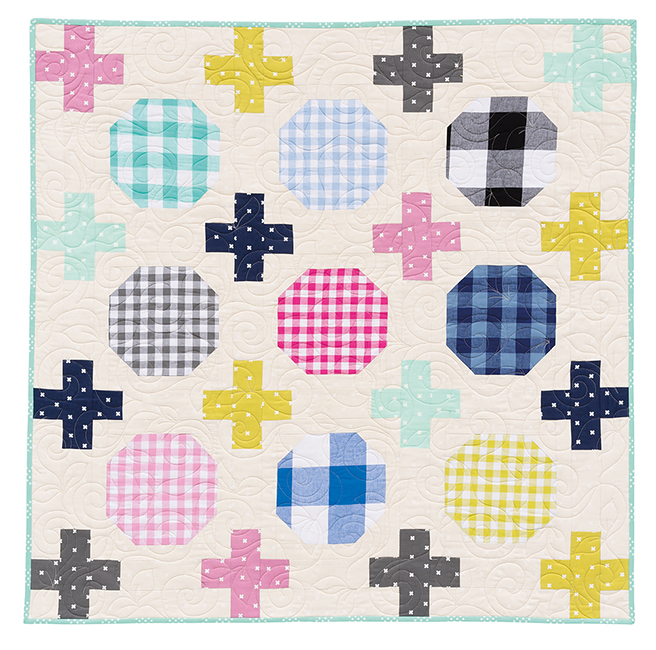 There are graphics with the written instructions so you can see if you are sewing what the instructions say. An exploded view of the finished quilt helps you to know what blocks go where. 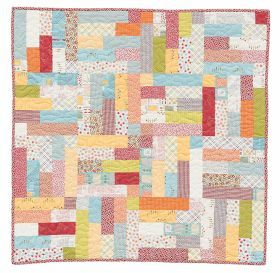 The final quilting is left up to you but the author does tell you what the quilting design in the book was so you can make yours look like it if you like. 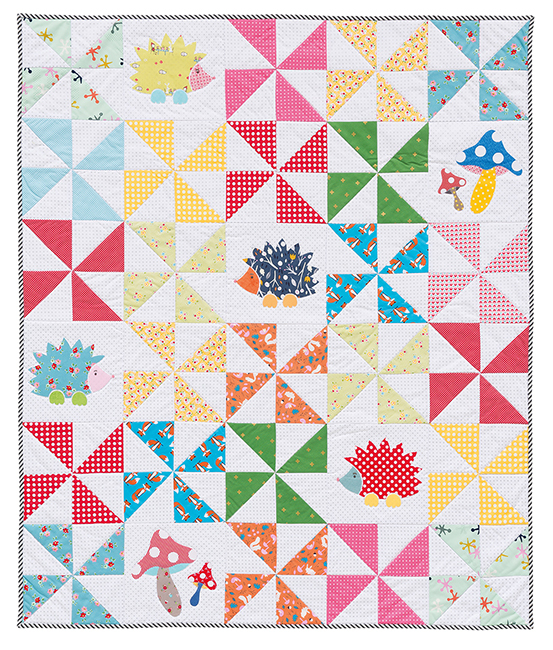 Adorable designs!!! 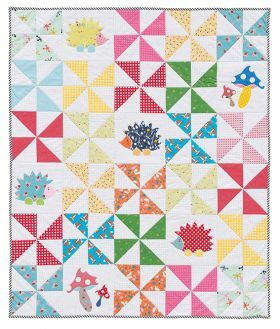 All 13 patterns in this book are super cute and help beginners, as well as seasoned quilters, create beautiful baby gifts with minimum time commitment and maximum cuteness! I'd rather make a quilt than purchase a baby gift; however, I don't always have time to make a quilt but this book is a total game changer. 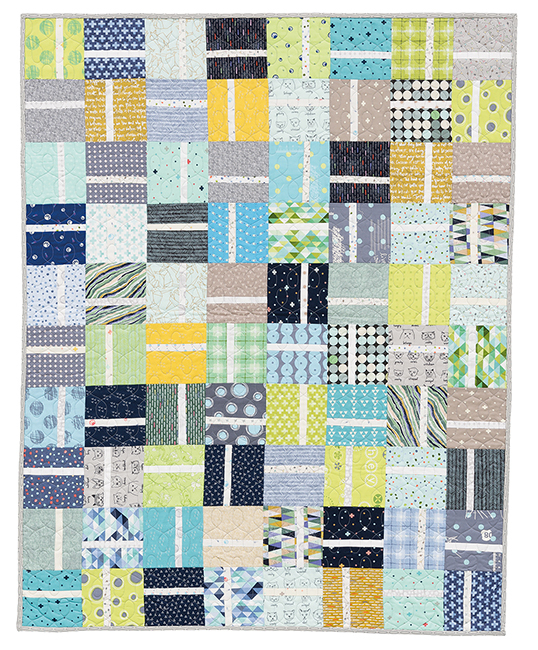 I already made one of the projects (Bundle of Joy) and the book cover quilt will be my next one!